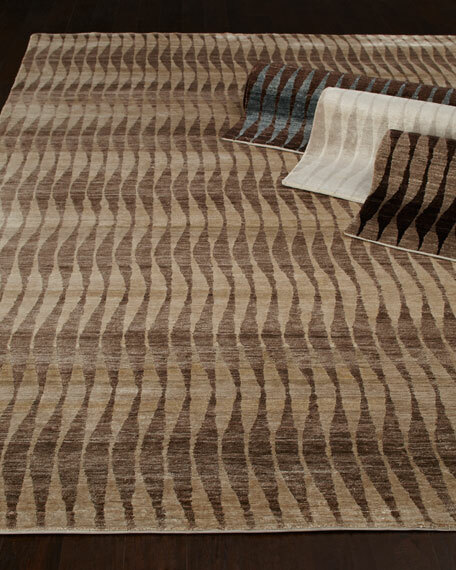 Hand knotted in a Tibetan weave. 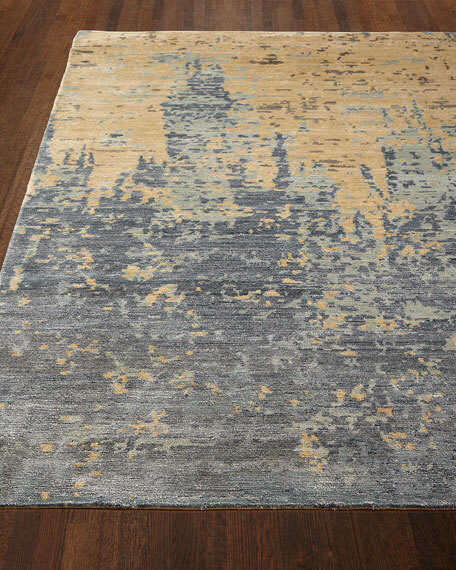 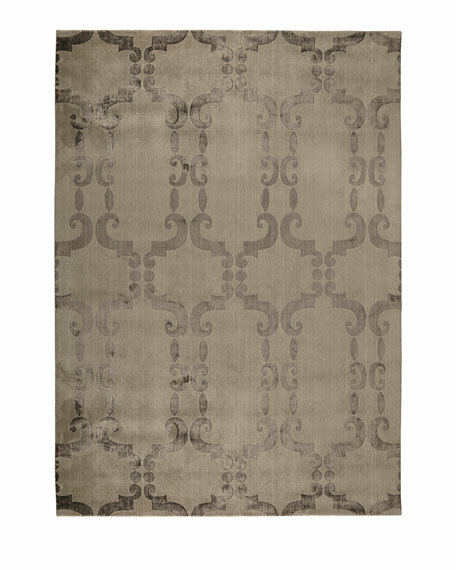 Rug features a stylized design reminiscent of antique patterns.Hand woven and knotted using premium hand-spun wool with highlights defined by Silkette (viscose).Size is approximate.Imported. 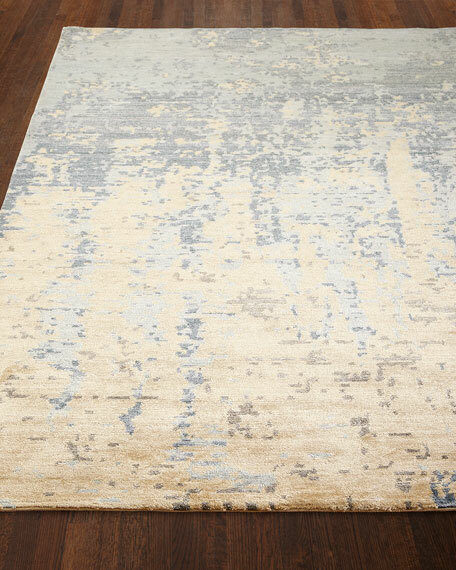 Hand knotted of wool and viscose on a cotton foundation.Available in Teal/Chocolate (featured), Beige/Brown, Beige/Chocolate, or Beige/Beige (shown rolled; listed top to bottom).Size is approximate.Imported. 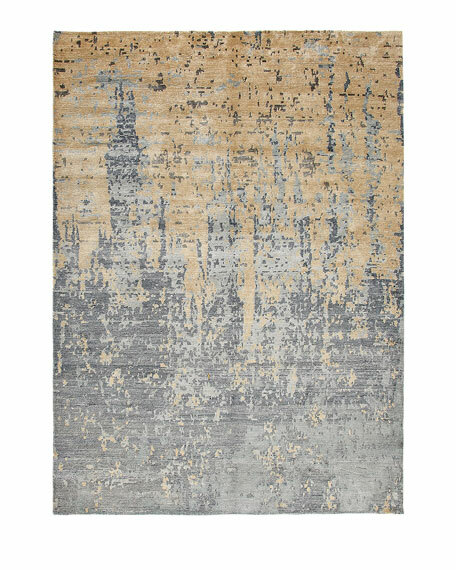 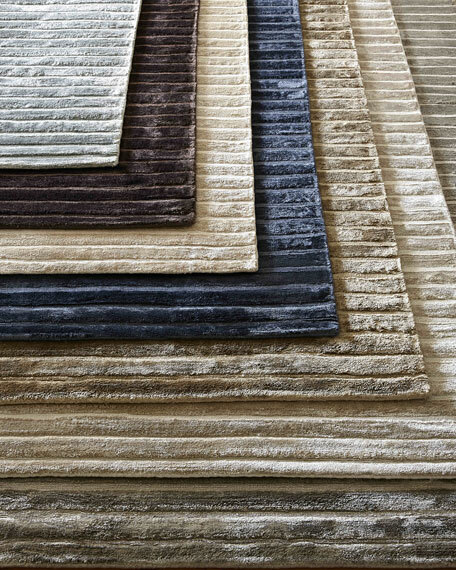 Rug features raised bars for texture, a silky sheen to capture the light, and an array of colors.Hand-loomed viscose pile.Size is approximate.Imported.